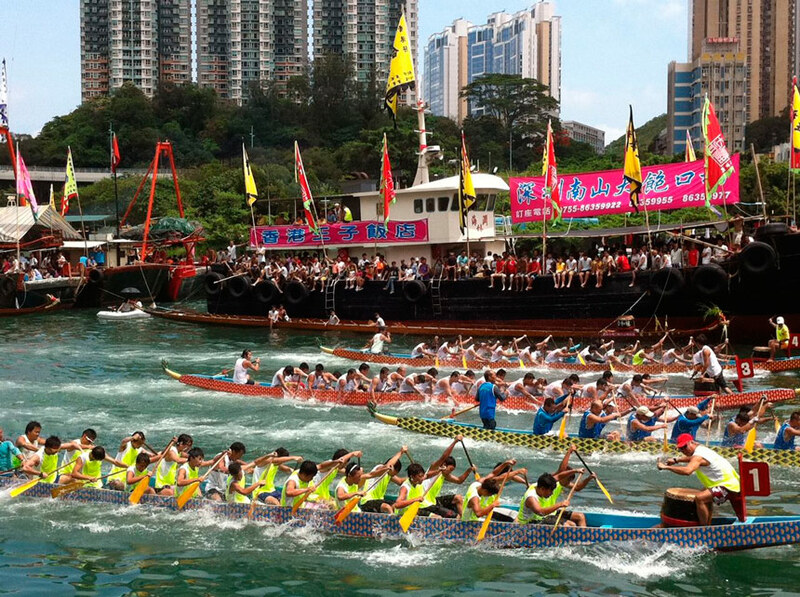 Dragon Boat Racing has ancient Chinese origins and it’s history has been traced back more than 2,000 years. The first participants were superstitious Chinese villagers who celebrated the 5th day of the 5th lunar month of the Chinese calendar. Racing was held to avert misfortune and encourage the rains needed for prosperity – and the object of their worship was the dragon. The dragon of Asia has traditionally been a symbol of water. It is said to rule the rivers and seas and dominate the clouds and rains. Over the years a second story was integrated to give the festival a dual meaning – the touching saga of Qu Yuan. Legend has it that poet Qu Yuan was banished from the kingdom of Chu after the King fell under the influence of corrupt ministers. 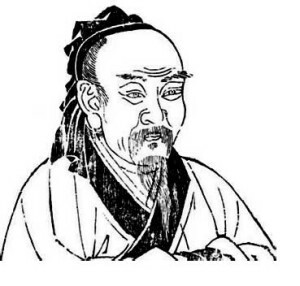 Qu Yuan spent many years wandering the countryside and composing great poetry until, on learning of his kingdom’s defeat, he leapt into the Mi Lo River holding a great rock in a display of his heartfelt sorrow. The people loved Qu Yuan very much and raced out in their fishing boats to the middle of the river in a vain attempt to save him. They beat on drums and splashed their oars in the water, trying to keep the fish away from his body. Dragon Boat Racing first featured competitively in the UK in September 1980 at the Hong Kong in London Chinese Festival. Races held on the River Thames were won by the Richmond Canoe Club in both the Men’s and Women’s classes. In 1981 racing featured in the World Canoe and Kayak Racing Championships, held at the National Water Sports Centre, Nottingham. The Lincoln Imps crew won this 500 metre event. After making its debut on the BBC TV’s ‘Blue Peter’ programme, in May 1986 a dragon boat was raced from London to Nottingham via the canal system by a crew of soldiers in aid of charity. The crew paddled 180 miles (including 180 portages for canal locks) in 9 days and raised over £4,000 for Sport Aid en-route. In 1986 and early 1987 specialist dragon boat groups were formed in Sheffield, Liverpool and Tyneside (although none of them had dragon boats, at this stage). The 1st National Championships were held in October 1987 on the Serpentine Lake in London’s Hyde Park, where 19 crews contested the 500m races. Elmbridge Kayak Club were the first BDA National Champions over this distance. During 1988 the sport expanded rapidly when over 20 events were held in the UK and the BDA was recognised by the Central Council for Physical Recreation (CCPR) as the sport’s governing body and admitted into its membership. In the 1990s the ‘Royal’ connection has continued with HRH Prince William racing regularly in the annual Eton College Inter House Competition and HRH Prince Charles carrying out an eye-dotting ceremony at Shadwell Basin in 1997. The Royal connection grew again more recently with HRH Kate Middleton, the Duchess of Cambridge, after she joined all female crew the Sisterhood as they prepared for a charity fund raising race across the Channel. 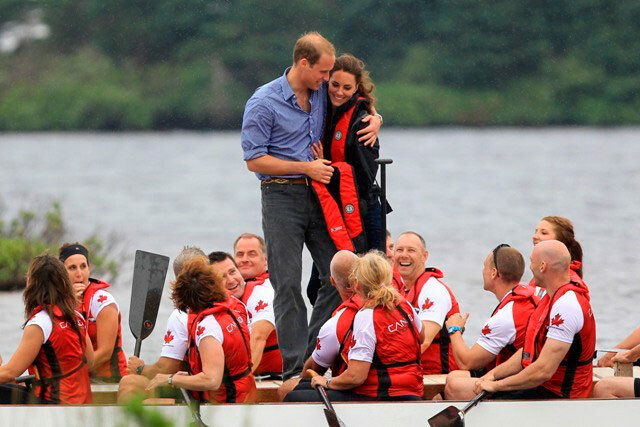 The newlyweds also took part in a dragon boat race across a lake on Prince Edward Island during an official trip to Canada. Dragon Boat racing played a major part in the Queens Official Diamond Jubilee Pageant that took place on the River Thames on June 3rd 2012. 14 Dragon Boats were included in the 1,000 strong line up. We are very pleased and honoured to have been a part of that once in a lifetime opportunity.